(c)Amok Simkit - Nothing super special about this copier. It appears to be a non nibbler. 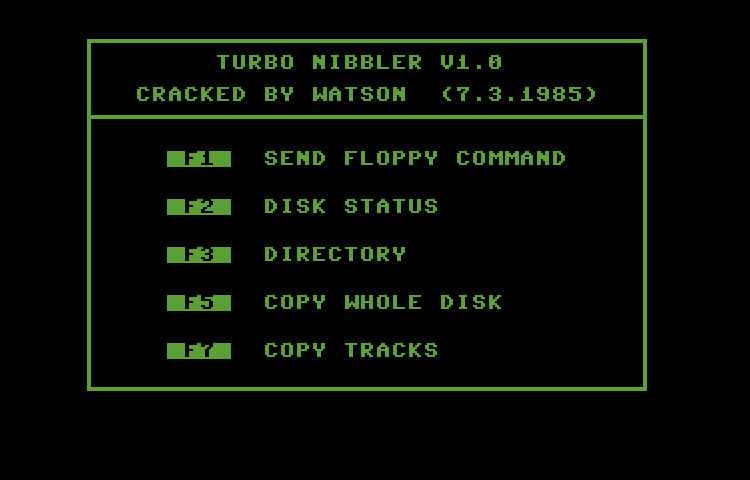 Cracked by Watson on July 3rd, 1985. 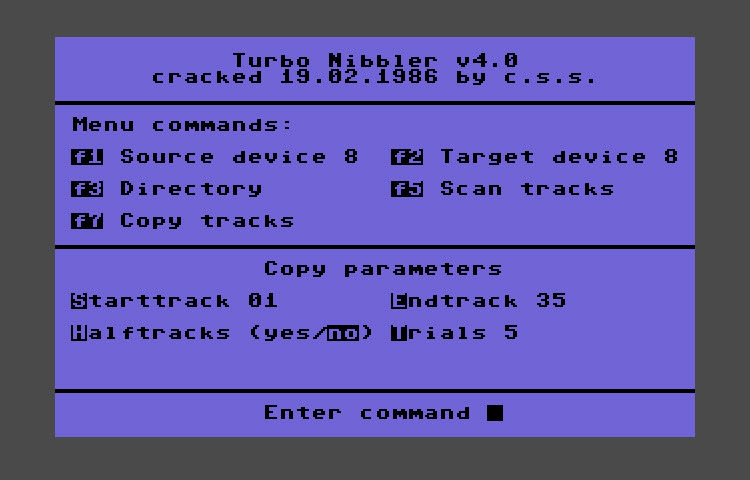 Not only does this nibbler copy full disks, it can copy individual tracks also. "Smashed" in 1985 by Turgy Magic. 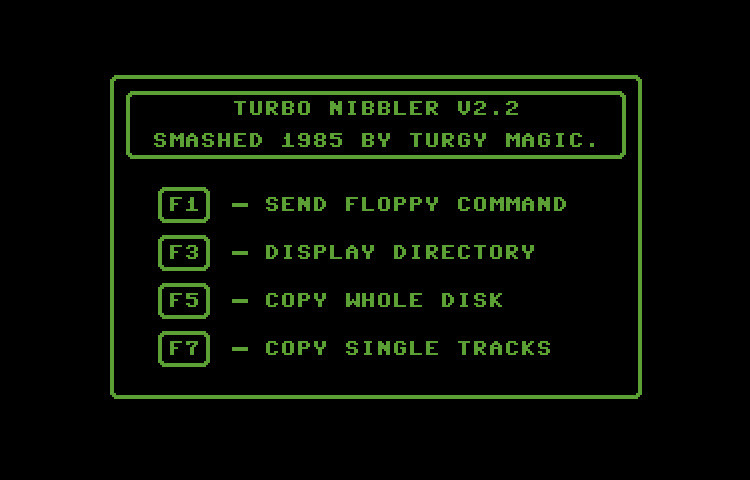 This version of Turbo Nibbler is pretty straight forward with only options for a full disk copy or a single track copy. (c)1985 Eurosystems. 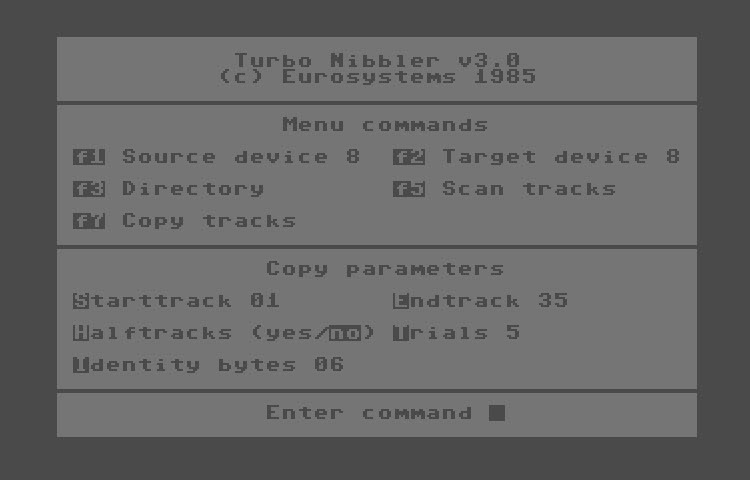 Turbo Nibbler is a full featured multi drive copier with support for half tracks, re-tries and adjustable start and stop tracks. Cracked on February 19th, 1986 by Computer Cracking Service. Pretty much the same as version 3.0 with the removal of the Identity Bytes option. Released by Tuerk Cracking Service. Turbocopy is both a full disk copier and a file copier. An interesting thing about the file copier (which is for single drives) is that it lets you choose to copy continuously or one file at a time so you can choose to copy files to different disks if you want. 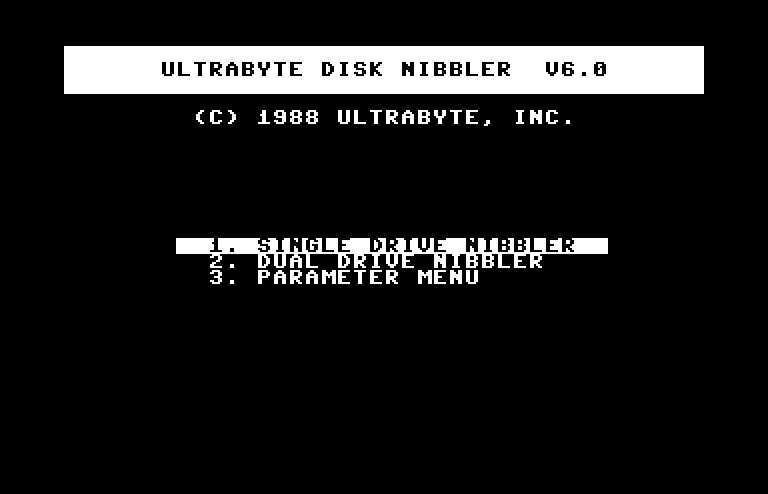 Ultrabyte Disk Nibbler v6.0 was released in 1988 by Ultrabye, Inc. This was a really good copier. Included in the archive is also a disk of parameters.